Take a look at a map of the BWCA and you’ll see a maze of waterways: Sawbill Lake, Basswood Lake, and 1000 other names jump out. But how do you get there? How do you prepare? We hope the following guide will inspire you to go into the Boundary Waters for the first or 73rd time. 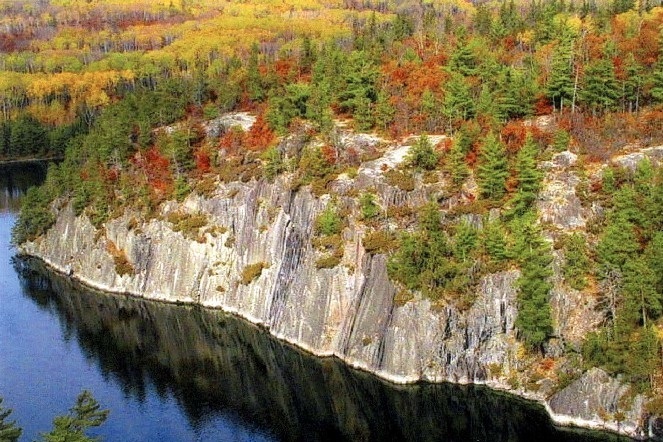 Why visit the Boundary waters? Why do you want to go to the BWCA? Do you want solitude or are you looking for a way to connect with your family or old friends? Are you looking for a relaxing getaway or to you want to push your physical limits? How much do you want to fish? Do you want this trip to revolve around fishing? Is there a particular area you want to see? Do you want to try something new (such as winter camping) and if so, what resources will you need on this endeavor? Having a sense of why you want to explore the BWCA will help determine who you go with, the group dynamics, and sets the ground for the rest of planning ventures. In the perfect world, we all have a friend, a spouse or cousin who knows every portage, knows all the best campsites, can catch walleyes with her hands, and cook up a feast in camp. While it’s good to have at least one person in your party who is experienced and has gear they can share, many of us don’t know anyone with this kind of experience. However, though the Boundary Waters is there for everyone, venturing into this wilderness isn’t something to take lightly. This is a primitive wilderness. There are no easy way to reach emergency services, no warm buildings to retreat to when the weather gets bad, mistakes can have serious consequences. If you have a group of people hankering for that wilderness experience, but none of you have much experience, the best place to start is by contacting the folks at one of the outfitters around the Boundary Waters. They will help you with logistics, set you up with gear, advise you on entry points and many offer guided tours. When to go to the BWCA? Most people got to the Boundary Waters to canoe (after all, it is the Canoe Area Wilderness), but you can enjoy it by foot, paddle board, ski or snowshoe. Each season brings its own treats. Summer is the busy season. From Memorial day through Labor Day there’s ample opportunity to swim, fish, sweat it out on a long portage and see a lot of other people. Winter. A hardy few go into the Boundary Waters during the winter. Those who do, are richly rewarded. Silence, solitude and beauty are unmatched. Plus, sleeping in a quinzie or a hot tent is something everyone should do once in their lives. Before we get into the gear and other goodies you need to bring, keep in mind that between May 1 thru September 30 you need a permit to go into Boundary Waters. Permits are issued by a quota system, and there are a limited number of permits issued for each entry point, each day. Here’s the thing: Permits go fast. To make sure you get the permit to the entry point you want, you need to plan months in advance. In 2019 the permit system changed over to an online reservation system. The cost to reserve a group permit is $6.00 and reservations for the summer season will generally open at the end of January each year. Plan your trip ahead of time so that when reservations go on sale, you’ll get your first pick! There is a lot of noise out there about what raincoat is the best, what material your canoe should be built out or how light your tent should be. It’s easy to get confused by all the gear out there, the brands and materials. To break down what you’ll need, we made this handy Boundary Waters Gear List for you to download and use. If you still need help, feel free to reach out to any of the outfitters on our BWCA Outfitters page. They will be able to field any questions as well as offer full or partial outfitting. With more than 200,000 visitors every year. the Boundary Waters is the most popular Wilderness area in the United States. All these visitors mean the BWCAW and surrounding ecosystems are at risk of being loved to death. Leave No Trace encourages people to minimize their impacts and prevent avoidable impacts while enjoying the outdoors. Take the time to plan and prepare your trip in to Boundary Waters or Quetico. This will make it more likely that you reach your goals, stay safe, minimize impact and perhaps most importantly, have a good time. Stay on portage trails and only camp in designated spots. This will make it less likely that anyone will notice you were there. Don’t burn your garbage - pack it out! Pack out everything you bring into the wilderness. In addition, it’s vital that you know how to properly wash yourself, your dishes and do what you can to keep the water pristine. Clean water is at the heart of any experience of the Boundary Waters. Let’s keep it that way. Bear skulls, moose antlers and thousands of other knickknacks make the Boundary Waters a magical wilderness. Avoid the temptation of bringing these things home with you. Let others enjoy the charm they bring. Campfires are an essential part of the wilderness experience. Keep fires small and in control. At any given time, there can be multiple parties camped on a lake. Sound travels surprisingly well over water. Each visitor has plays a big part in keeping the wilderness a peaceful refuge of solace and adventure. The Boundary Waters is not the only opportunity for adventure in the region. With fewer visitors and minimally maintained portages, many travelers venture into Canada’s Quetico Provincial Park in search of an even more remote adventure. Learn more about planning a trip to the Quetico. West of the BWCAW is Voyageurs National Park, a vast landscape of open water best known for its motorized and non-motorized boating opportunities. The BWCAW makes up roughly one-third of the Superior National Forest. The rest of the Forest also offers tremendous opportunities for backcountry recreation, including hiking, paddling, motorboating, snowmobiling, fishing, and camping. Clean water is the heart of the Boundary Waters, but for how long? Copper sulfide mines threaten to contaminate these famous waters with toxic chemicals and waste. Take action to stop these toxic mines. The future of the Boundary Waters depends on a new generation of wilderness stewards falling in love with this area. Learn how we are getting underserved kids up to the BWCAW. The wilderness needs you. 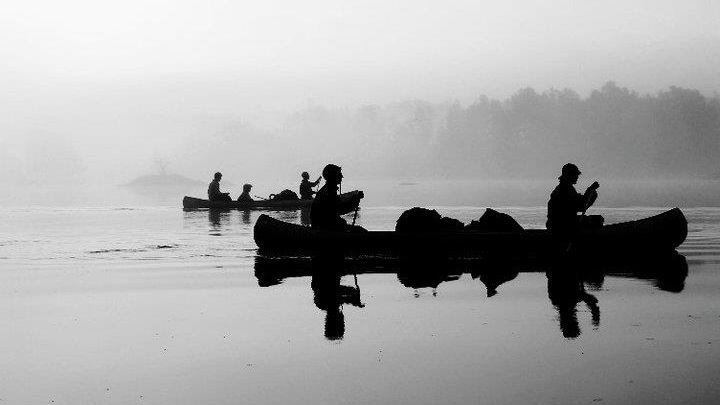 There are many ways you can give back to the wilderness and be the voice of the BWCAW. Learn about volunteer opportunities, stay informed, sign up for our email list and more.